The reliability of Woody Allen’s per annum output has more or less caused critics and audiences alike to lose sight of the magnitude of each singular work that comes from the septuagenarian auteur. As was the case with last year’s Magic in the Moonlight, Irrational Man has already been shelved and classified as a decidedly minor Allen film. The critical argot typically delineates Allen’s work as regurgitating from past ideas, and with Irrational Man one can certainly see the jigsaw tiles of earlier Allen films at play (most notably from Crimes and Misdemeanors and Match Point). But these thematic preoccupations and repetitions do not necessarily indicate that they are pointing to the same larger picture; similar ideas do not necessarily breed the same results. With Irrational Man, Allen’s insistence on plundering the well yields a remarkably breezy yet jarring film, shedding new light on old ideas. Having produced a new film every year since 1982, it might be easy to take for granted the bounty of riches that is Woody Allen’s filmography. And amid controversy after controversy, a skeptic might question why the director keeps making films about misanthropic middle-age white men seeking young women in their twenties. That skeptic would be half-right: there’s no denying that Allen’s volume of work is not without its share of redundancies and disappointments, though there’s something almost virtuous about Allen’s work ethic. Whether or not an Allen film works for its intended audience could very well depend on their tolerance for his insecurities and neurosis. This makes his annual summertime efforts seem especially appropriate. There aren’t very many certainties in life, but with every passing summer comes a new Woody Allen film, and for that, there’s something oddly comforting about that. Stripped from her debonair Park Avenue mansion, Jasmine (Cate Blanchett) relocates to San Francisco. The flight to her sister’s homey apartment doesn’t raise much of an eyebrow. Is Jasmine a bit self-indulgent? Sure, but so are a lot of characters in Woody Allen’s films. So Jasmine’s hyperactive socializing with the woman sitting next to her on a flight doesn’t strike much concern. Nor does her critique of her sister Ginger’s (Sally Hawkins) apartment seem all too out of the ordinary for what the audience assumes to be a narcissist. But as Allen pulls the pieces of Jasmine’s fragmented life for the audience to see, we witness one of the writer/director’s most accomplished character studies – a psychological deconstruction of a woman stripped of agency with only a flickering light of sanity guiding her way. Following my Best of the Nineties project, I was a bit “listed” out. And coupled with a busy summer movie season (along with the usual real-life schedule), having time for any worthwhile writing (outside my usual posted reviews and screenplay dabbling) has been scant. 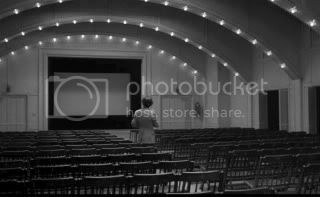 But with the transition from the summer movie season to the always exciting festival season approaching has got me in a writer’s head spin. With a slew of mainstream efforts worth looking into (from Neil Blomkamp’s Elysium to Edgar Wright’s The World’s End) along with smaller independent films to look out for (Andrew Bujalski’s Computer Chess and James Ponsoldt’s The Spectacular Now – already reviewed here), the year has proven to be a fruitful one. 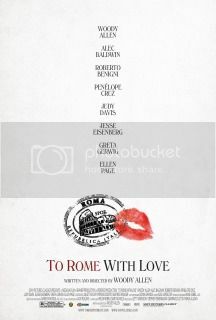 Blue Jasmine, already released in New York and Los Angeles, will see be screened in Chicago tomorrow. One of the true great American auteurs, Woody Allen is a national treasure whose body of work towers over virtually any other contemporary director. Allen may not knock it out of the park every time, but with an unrivaled work ethic (Blue Jasmine is the director’s 43rd film since 1969), his misses are often complimented with a subsequent masterpiece. 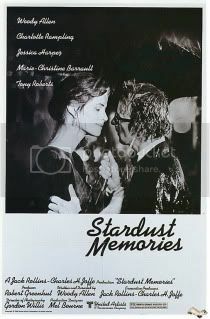 Continuing with my on-again off-again look into Woody Allen’s filmography, I admit that I was reluctant to pick up his Fellini-inspired Stardust Memories. Federico Fellini is a director that I am only vaguely familiar with – beyond traditional Film 101 studies of a few of his films I know most of his pictures by name alone. With that, I can’t really say that I’ve ever been driven to look into his work with the same sort of conviction that I have for Robert Altman, Stanley Kubrick, Krzysztof Kieslowski or Allen himself. Stardust Memories opens with a scene that recalls Fellini’s 8½ - Sandy Bates (Woody Allen) is on a train. He observes the people on board – it’s a dull bunch. He peers outside to another train going in the opposite direction – it’s a train full of life and extravagance. The larger implications begin to seep into his (and the audience’s) consciousness as Sandy attempts to bust out of the moving car. But the door is jammed and the interior begins to fill with sand, as the ambivalent passengers remain in their seats. We cut away from Allen’s worrisome gaze as we discover that the whole scene was part of a film. What follows are critics and film executives dismissing Bates’ efforts – why be serious now when all of his previous “funny” pictures have been so good? It’s probably the most interesting set-up to an Allen film I’ve seen yet, or at least the one that deviates the most from formal Allen expectations. Given the tepid response to his first serious mainstream attempt (Interiors), Stardust Memories seeks to address the circumstances of Allen’s fame while deconstructing (and reaffirming) preconceived notions of his celebrity. It’s most effective when Allen contends with the crowds of raving fans who always want something from him – he can’t outright reject them, nor does he have any intent of following up on his many promises. You get a sense that he wants to please, but overwhelming demand makes such a course difficult to embark. 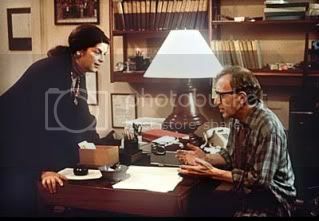 While all of Allen’s films have an “Allen-type”, it was incredibly difficult to separate Woody Allen from Sandy Bates. 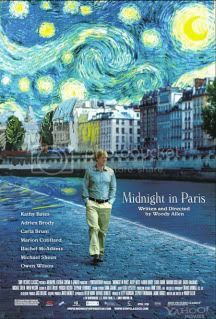 Given Allen’s rich personal history made available to the public, there are certain prophetic instances throughout Stardust Memories that suggest personal tendencies in Woody Allen himself, rather than distinctive attributes to the written character of Sandy Bates. In a lot of ways, it makes for some retroactively imposed moments of awkwardness as Bates discusses marrying a younger woman. 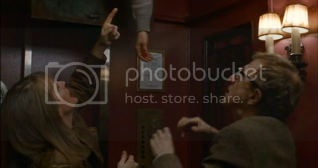 There’s a moment in Stardust Memories where Bates is visited by aliens. He asks what he should do when choosing between two women. According to the aliens (voiced by a high-toned Allen), such a decision is of limited difficulty given their high IQs – they let Bates know exactly who to go for. Bates goes against their word and picks the other woman. It’s perhaps the clearest statement that Allen makes throughout the whole film – he’s going to do what he wants to do. Intellect doesn’t play a decisive role in his choices – it’s a gut thing. Manhattan Murder Mystery takes the standard Allen formula and adds a murder plot that, interestingly enough, doesn’t become the central narrative until halfway into the film. In fact, that aspect of the movie is overshadowed by Allen’s relationship drama, which is more or else the same thing he’s done in previous (and following) films. It’s because of that familiarity where it becomes a bit hard to embrace Manhattan Murder Mystery, largely because Allen has (a) already done this and (b) has done this better. Still, there are aspects that I found uniquely enjoyable about the film. In the beginning of the closing act, there’s a lingering sense of jealousy between the central protagonists that was disappointingly absent throughout most of the picture. Carol Lipton (Diane Keaton) distances herself from her husband Larry Lipton (Woody Allen) and grows fond of their friend Ted (Alan Alda). Ted entertains Carol’s ideas that a murderer could live next door moreso than Larry, therefore the couple’s ability to get along. Ted and Carol’s relationship develops while Larry sits on the sidelines. Only later are we introduced to a character that both Ted and Larry gush over, adding a dynamic that was sorely needed in the film’s relationship drama. Allen does a noble job of blending a variety of genres together, and though it ultimately falls flat, there are glimmers of excellence in his failure.